Tuesday Mostly cloudy. Morning fog about the ranges. Medium chance of showers in the west, slight chance elsewhere. The chance of a thunderstorm about the ranges this afternoon. Light winds. Wednesday Cloudy. Medium chance of showers, most likely in the afternoon and evening. 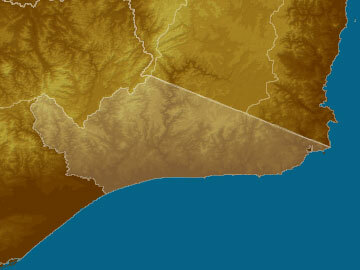 The chance of a thunderstorm about the ranges in the afternoon and evening. Winds NW/NE 15 to 20 km/h tending SE/SW in the early afternoon then becoming light in the evening. Thursday Partly cloudy. Areas of morning fog. Slight chance of a shower in the far east, near zero chance elsewhere. Winds NW/SW 15 to 20 km/h becoming light during the afternoon then becoming N/NW 15 to 20 km/h during the evening. Friday Partly cloudy. Medium chance of showers, most likely in the morning and afternoon. Snow possible above 1300 metres. Winds NW 15 to 25 km/h turning W/SW 20 to 30 km/h during the morning.